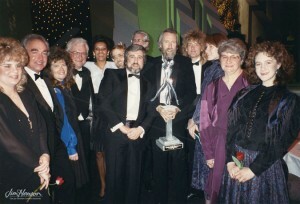 When Jim was honored at the John F. Kennedy Center in Washington, DC on April 19, 1986 with the Frances Holleman Breathitt Award for Excellence in recognition of his outstanding contribution to the arts and to young people, it was just one of the many times Jim’s lifetime achievement was recognized over the years. As early as 1975, when he was just 39 years old, Jim received the coveted Sons of the Desert Award, an appreciation from The Worldwide Laurel and Hardy Society. 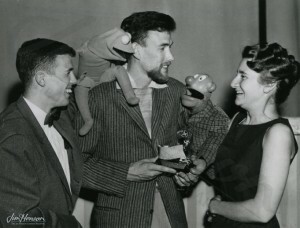 As The Muppet Show hit the airwaves, the accolades started to pile up – everyone from the Advertising Club of Washington and the Electronic Industries Association to The National Council for Children and Television and The Massachusetts Society for the Prevention of Cruelty to Children wanted to honor Jim. 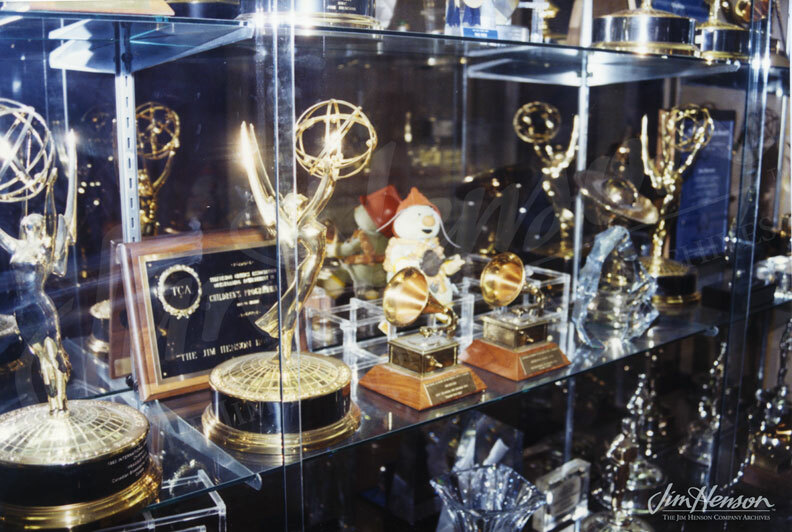 Along with the usual Emmy, Grammy, Peabody, and BAFTA awards related to specific productions, Jim was ultimately rewarded with one of the highest honors in his industry: induction into the Television Academy Hall of Fame in 1987. As successful as he had become, this was truly the ultimate honor, and Jim was genuinely gratified to be placed among his idols in the pantheon of television greats. While film and other types of projects were a passion for him, Jim knew that his work in the television medium was groundbreaking and was where he had made the largest impact. Unfortunately, Jim did not live to accept many of his biggest honors. 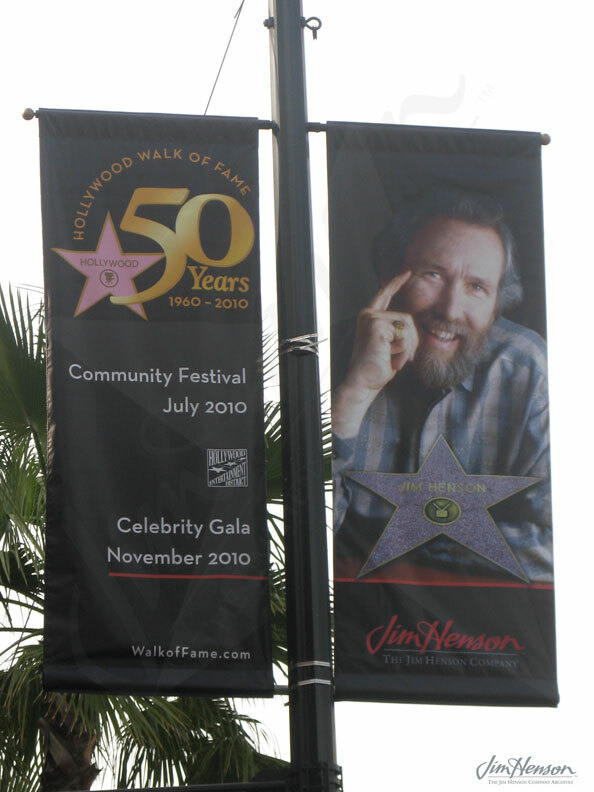 In the years following his passing, Jim’s friends arranged for him to receive a star on Hollywood’s Walk of Fame. Various groups in the entertainment industry lauded him along with such diverse organizations as UNICEF, the Smithsonian Institution and the National Wildlife Federation. TIME Magazine named him one of the 100 most influential artists of the 20th Century and Entertainment Weekly counted him among the 100 greatest entertainers from 1950-2000. Clearly, Jim’s legacy lives on – not just in the recognition of his past triumphs but in the new works being created with his characters and within the creative community he inspired. Watch Jim’s induction into the TV Academy Hall of Fame. 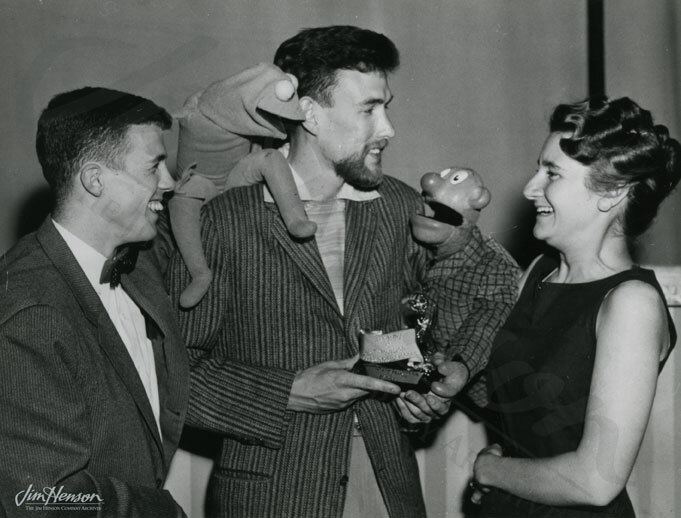 Jim with Bob Payne and Jane Nebel holding his first Emmy Award for Sam and Friends, 1958. Photo by Reni. Banner on Hollywood Blvd. 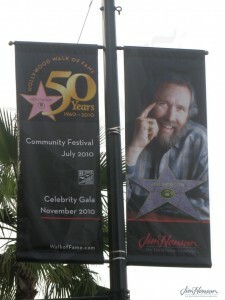 celebrating Jim’s star on the Walk of Fame, 2010. A display case with some of Jim’s awards watched over by a Doozer from Fraggle Rock. Jim with family and friends at the Television Academy Hall of Fame induction ceremony, 1987. This entry was posted in 04-April '86, 1986, Honors and tagged Frances Holleman Breathitt Award for Excellence, John F. Kennedy Center, Sons of the Desert Award, Television Academy Hall of Fame, washington DC. Bookmark the permalink.